On Easter Sunday, March 31st, 2013, 24-year-old Wade Walters was working at the only nuclear power plant in Arkansas owned by Entergy, as operators were removing the Main Turbine Generator Stator. The stator device, which weighs over 500 tons, fell and killed Wade, injured others, and caused a loss of off-site power. 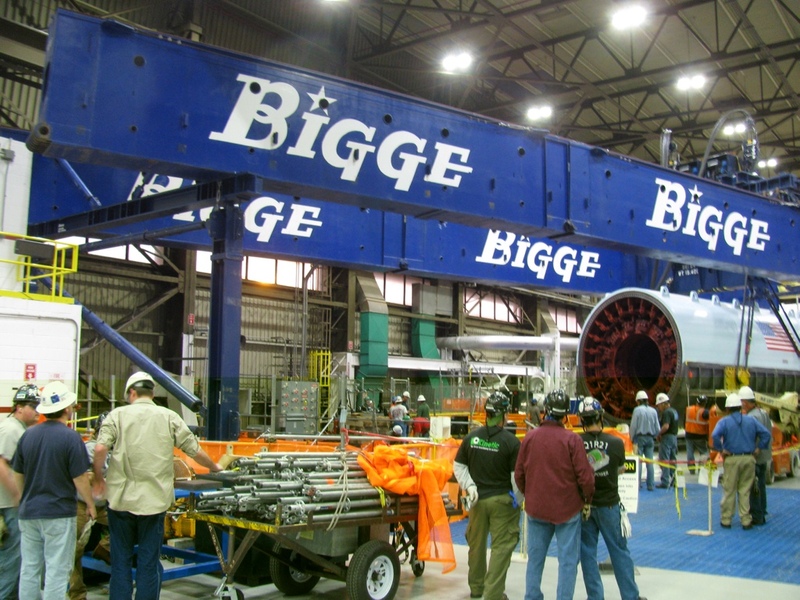 The suit is filed against Bigge Group Inc, Biggie Power Constructors, Biggie Crane and Rigging Co., Siemens Energy Inc, DP Engineering Inc, Entergy Arkansas Inc, Entergy Operations Inc, and three unidentified individuals. The suit alleges that Entergy scheduled downtime with the Nuclear Regulatory Commission to carry out the Main Turbine Generator Stator removal operation. Once that commitment was made, if Entergy was unable to complete the work within the time agreed upon, the utility would be fined. Entergy attempted to get the company which normally moves the Stator, but the contractor said they would be unable to safely remove the device in the time frame allowed. The licensee then approached other companies, many of whom agreed with the initial analysis. Eventually, Entergy located a company which would be willing to carry out the operations, Biggie, who was also the lowest bidder. On March 30th, workers first attempted to move the crane with its load and it became unstable. This forced the workers to abort the operation and retry the next day, on Easter Sunday morning. Although the crane was specifically constructed for the job of removing the stator, no load test was conducted on the floor that the crane was to travel across. While conducting the first attempt to remove the stator, workers noticed that it would not clear a guard rail. Walters and other workers were asked to cut the railing so that the stator and crane would be able to fit. After workers including Wade cut the railing and moved away from the crane and its load, the beams of the crane bent and fell, collapsing on top of itself, and dropping the stator equipment through the turbine deck floor. One of the beams of the crane hit Walters causing massive physical injuries which lead to his death. Officials from the Occupational Safety and Health Administration have begun conducting an investigation into the crane failure, as it should have been able to carry more weight than the stator.